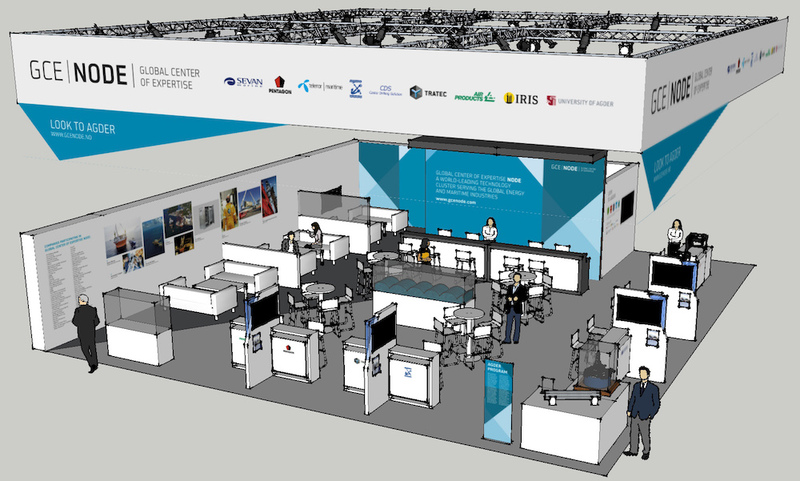 3D Image of GCE NODE Stand at ONS 2016. 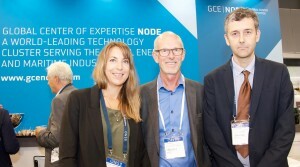 From left to right: Administrative Centre Manager Rachel Funderud Syrtveit, Centre Chairman Leif Haukom and Centre Director Geir Hovland at ONS 2016. SFI Offshore Mechatronics was presented at ONS2016 on Tuesday, August 30. The SFI took part in the well-organised stand created by GCE NODE. See also http://gcenode.no/news/day-by-day-at-ons-2016. 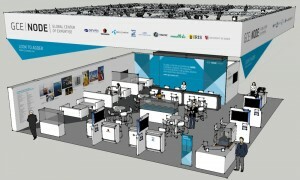 GCE NODE (WP7 Leader) deserves credit for organising this superb stand. The SFI centre management gave a short presentation about the research done so far, handed out the 2015 annual report and also the special offshore mechatronics issue of the MIC research journal. In addition, presentations were given about the Mechatronic Innovation Lab (MIL) and about the Ullrigg Drilling and Well Centre by IRIS. The administration of SFI Offshore Mechatronics had a visit to SFI CASA, hosted by NTNU to learn, and to exchange information and experience. It was a very useful trip for the UiA administration, and a good inspiration looking at the experienced host NTNU, and how they are running a SFI project. The coordinator of SFI CASA, Peter Karlsaune, and Albert. H. Collett, responsible for communication were great hosts for the day. The SFI administrative manager, Rachel Funderud Syrtveit, had a lot of questions. Here together with Peter Karlsaune. After the formal meeting, the UiA delegation got a guided tour to see all the SFI CASA labs. 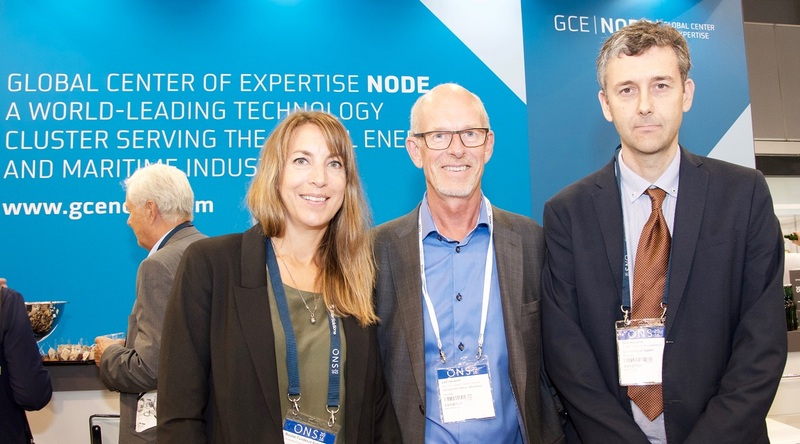 In the right picture: UiA controllers Silje Bartholdsen and Harry Aas together with Peter Carlsaune. 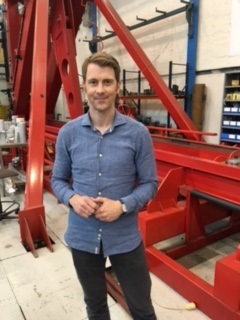 Aksel Sveier started as a PhD student under WP3.3 on 15 August 2016 with Professor Olav Egeland as supervisor. Sveier is a Master in Mechanical Engineering from NTNU. He attended at five-year master study at NTNU where the fourth year of study was at the Pontifícia Universidade Católica do Rio de Janeiro. 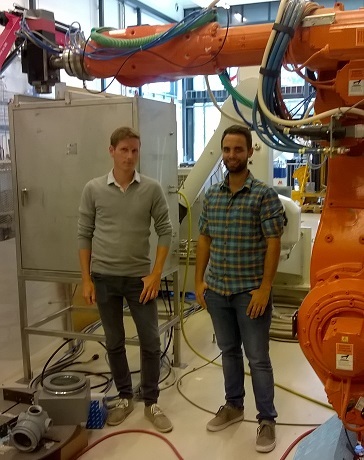 He graduated this spring with a master thesis on robot vision under the supervision of Olav Egeland. 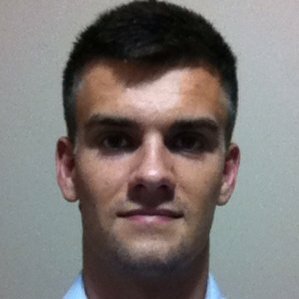 The main results of his master thesis was presented at the Geometric Algebra in Computer Science and Engineering Workshop – GACSE’16 in Crete this summer, and will be part of a journal paper to be submitted to the journal Advances in Applied Clifford Algebra. He will be attending the 17th Santaló Research Summer School 22-26 Aug. 2016, Santander, Spain. 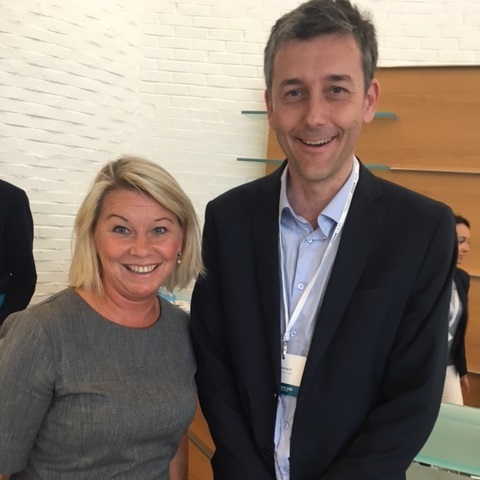 The minister of Trade and Industry, Monika Mæland, gave a presentation on the topic “Industry of the Future”. 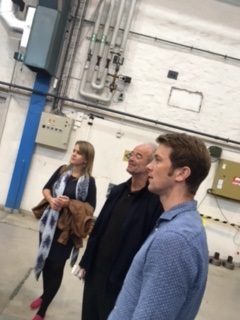 In the photo above, Monika Mæland and SFI Offshore Mechatronics centre director Geir Hovland. 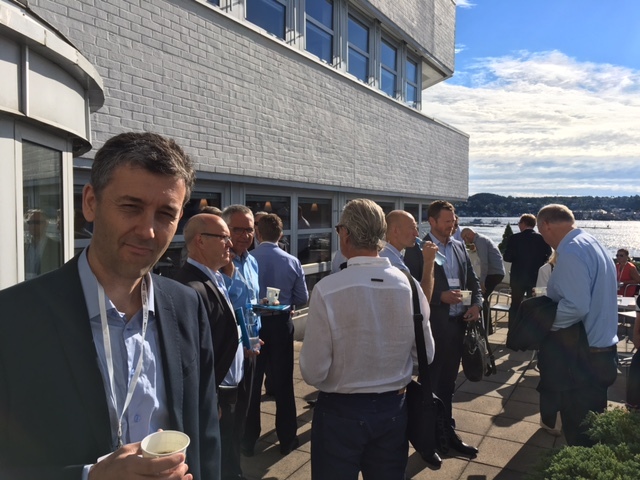 The Annual Global Outlook was held in Arendal as a part of Arendalsuka 2016. The conference was filled with very interesting speakers, touched upon important issues and a success. The SFI Partner responsible for WP7, GCE NODE, put together this great event. Both challenges and opportunities presented were relevant for the future activities in SFI Offshore mechatronics. Read more here. The full program of Energy Outlook (PDF). There is still more interesting events all week in Arendal. The complete program is to be found here. 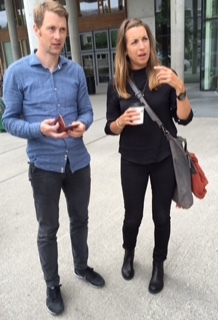 Atle Aalerud (left, WP3.2) and Joacim Dybedal (right, WP3.1) started as PhD candidates at the University of Agder on August 15, 2016. Atle has a Masters degree in Mechatronics from the University of Agder in 2013 with title “Implementation of Active Control Design for Crown Mounted Compensator to Improve Drilling Performance” while Joacim has his Masters degree from NTNU in 2013 with title “Doppler Radar Speed Measurement based on a 24 GHz Radar Sensor”. Both have 3 years industrial experience from the SFI partner company National Oilwell Varco.